update I could smuggle two small bottles in my big suitcase. 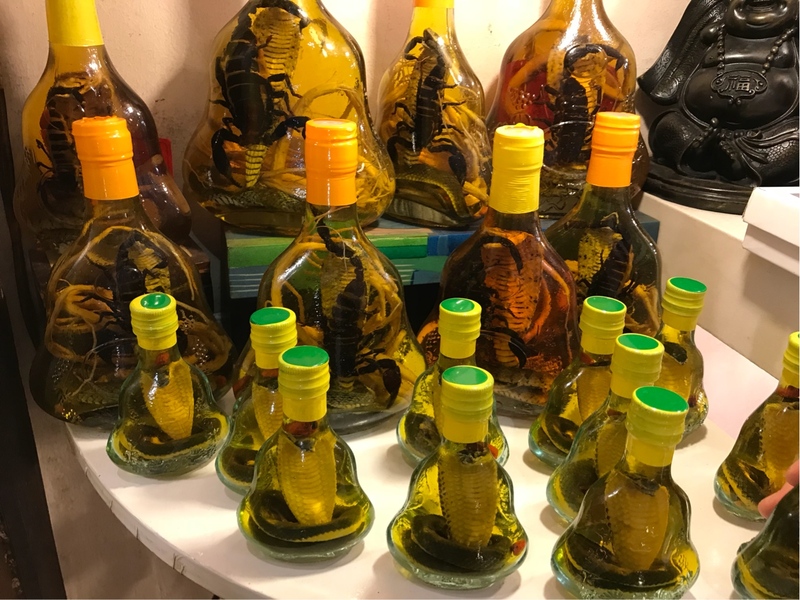 the main concern for bringing snake wine into the U.S. when a snake used in the wine that are endangered species, and therefore inadmissible. The wine would have to be inspected by an FWS specialist to determine if the snake was an endangered species. But it is not the answer to your question. and you always need an export permit from the country of origin! You may check up COMMISSION REGULATION (EU) No 1320/2014 where all these Annexes (A, B, C and D) to the EU Wildlife Trade Regulations are listed. What I see from there: there are three types of these rat snakes in Annexes B and D. Anyhow it should be officially established that it is actually a rat snake and not something else. If there is any meat in a product you want to import into the EU, you need an import license (and adhere to a hell of regulations). This doesn't even touch CITES. It's strictly import regulations on meat products. You cannot import them as a tourist or regular foreign sales outlet. If you had a meat sandwich in your possessions during the customs check, they make you eat it right on the spot, or throw away. I guess you don't want to do that with the snake, neither the booze. Oh, and don't forget you had to declare it if it was more than one liter of spirits you are carrying. Not the answer you're looking for? Browse other questions tagged europe vietnam import-taxes or ask your own question. American in Europe: can I avoid import fees?